A special race has been created in La Defense, one of the key business districts in Paris, to advance the cause even faster. 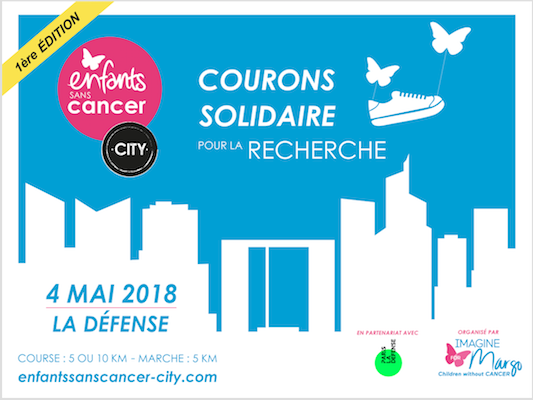 Imagine for Margo is launching the 1st edition of the Children without Cancer City Race in La Defense on Friday 4th May, with businesses, schools and locals from the area. There are 3 options to participate: 5km walk; 5km or 10km run. All the participants need to collect a minimum of 200 euros, and can join in either individually or as a team.